Whether your company has no online presence or whether you have a significant ecommerce business, the team at Insite Web can provide you with a range of expert consultancy services that will bring you new insights and skills and build your profitability. With our extensive commercial and business background, plus experience across a number of ecommerce platforms, as well considerable knowledge of marketing, copywriting, web design and development, we’re ideally placed to work with you to identify the opportunities available to you and your business. We’ll then ensure you make the most of them. You may have a clear idea of what problems you want to solve. Or you may have a more general feeling that ‘something needs to change’. Whatever your starting point, Insite Web will work with you – it’s your business after all – to identify the most cost-effective solutions. And while lots of consultants may tell you what you can do, we’ll focus on what you should do; ensuring that you never commit to a project that isn’t relevant to your business plans or is unrealistic. We also employ ROI based analyses before embarking on projects so if we don’t think we can make you money, we won’t take on the project. We’ll work with your budget, setting clear benchmarks so that you can always judge whether we’re achieving what you want us to; for you. Where we build you systems as part of a project, we’ll make sure that we leave you with the skills and confidence to maintain them once the project is over. If you’ve been thinking about working with a consultancy team to boost your business why not give us a call and find out how our digital, multi-channel and ecommerce solutions can help you. Need a digital or ecommerce project managed? Need to improve, but don’t know how? Not sure what software system to choose? Can’t make sense of your data sources? 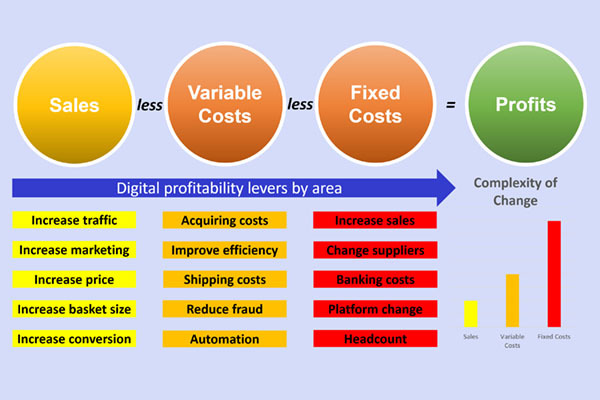 Need to simplify your pricing process? Struggling to manage your work processes? At Insite Web we have analysed & managed projects for start up & multi channel companies. You need to make changes. You know that there are software solutions and companies that could help you. However you don’t have the expertise to approach them, to ask the right questions or to ensure you secure the most competitive price. Does this sound like you? Do you need to improve or automate parts of your web or digital strategy? Does your business need specific expertise to get a project underway? Do you want to document or visualise your plans or infrastructure changes? How can you find the right way to go out to tender with tech companies? Does running the ecommerce side of your business seem like a real slog? Is keeping track of your competitors’ activity giving you a headache? If you find that you’re spending too much of your time playing catch up with your competitors’ marketing strategies, or that your hours are filled looking at their websites so that you can determine your pricing, then it’s time you spoke to the team at Insite Web. We can help you save time and become more efficient. We have access to software and technology that can scrape competitors websites regularly (several times a day if required), as well marketing databases that capture all your competitors activity. Even their Google paid search campaigns! These types of tools can be used in many ways; to research and stay one step ahead of the competition, formulate your strategies or, if integrated with your systems or website, to fully automate your pricing. We can analyse your data sources and get to the heart of your businesses performance, outputting results meaningfully for different users. This methodology can be applied in bespoke solutions, or within applications; e.g. web platforms, AdWords, Google Analytics dashboards etc. The same techniques can improve manual workflow; e.g. marketing, web merchandising, finance, fulfilment etc. Introducing automation, making jobs easier, or potentially removing manual intervention. Competitively priced Consultancy and Project services throughout Bedfordshire, Buckinghamshire and Northamptonshire, covering Milton Keynes, Newport Pagnell, Buckingham, Bedford, Luton and Northampton. We guarantee that working with us will give you a great return on your investment.